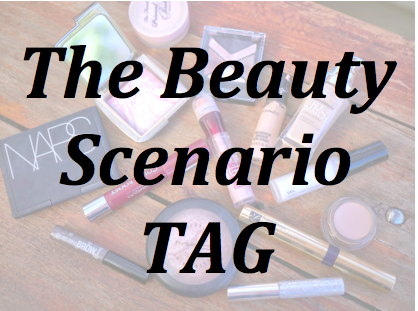 Last month I was tagged by my beautiful friend Jasmine (from Sweetaholic Beauty) to do The Beauty Scenario Tag. This tag was created by one of my favourite YouTubers, Lily Pebbles, and I've been loving watching some of my favourite vloggers do it so why shouldn't I? You have to get rid of all your foundation and only keep one high end and one drugstore. Which do you keep? 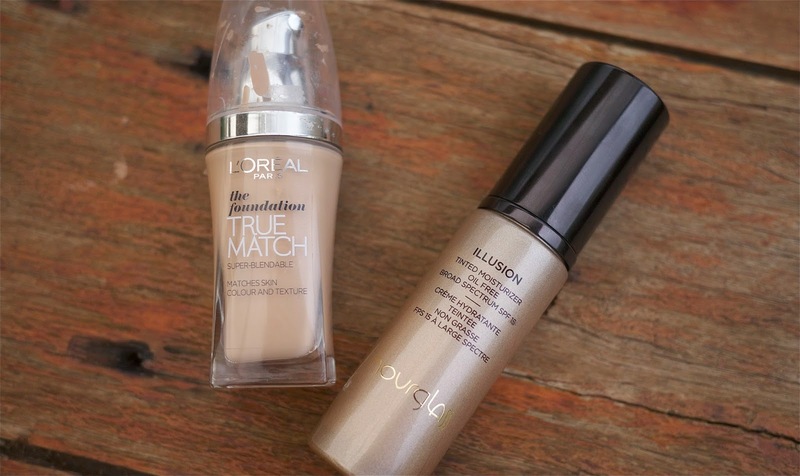 I've been giving L'Oreal's True Match foundation a try over the past month or so and I have to be honest, I'm really impressed by it. It's a great foundation, drugstore or otherwise. For high end foundations, I'd definitely keep the Hourglass Illusion Tinted Moisturiser Oil Free. It's such a lovely product and the coverage is incredible. You go for an interview and the lady interviewing you has lipstick on her teeth. Do you approach the subject or ignore it completely? It depends. If I was going for a job in the beauty I'd probably tell her, providing that I felt quite comfortable talking to her. If it wasn't a beauty gig but I'd probably say no. It would pain me because lipstick on the teeth bugs me beyond belief but is it really worth it? You're not feeling yourself and you need a pick me up lipstick. Which do you go for? It's between two for me, MAC's Creme Cup and Rebel. Creme Cup is an extremely wearable, no fuss lipstick that goes with almost every look I create. If I'm feeling like I need a pick me up I'll opt for Rebel, purely because everyone and their Mum seems to compliment me when I wear it. Plus, it's such a vibrant shade that I really don't need to do a lot to the rest of my face. Sneaky. You go back in time for a day to your teenage years; How would you do your hair and make up differently? Oo, this is tough. I didn't wear a lot of make up until my late(ish) teens, 16 and 17ish, so I didn't make too many awful mistakes. I, as I think most girls did, went through a phase of wearing black eyeliner on my waterline with absolutely no other make up. Not even mascara. I blame that on The Veronicas and, if I could, I'd erase that from my look book. You ask your hairdresser for a shoulder length Pixie Lott cut but they hear you wrong and give you a pixie hair cut. Do you A. Smile, say thank you, leave and call your Mum crying hysterically, B. Cry in the chair and things get awkward or C. Complain to the Manager and demand a refund. This is really awkward for me because my sister is my hairdresser. Firstly, I like what I was thinking as I love Pixie Lott's hair. Secondly, I'd probably do a bit of A and B combined. We're sisters so I definitely think i could be a bit more honest with her, however there's no point getting too mad as it's already been cut off and, realistically, I don't often pay her. I probably would cry at some point though because I cry at everything. Your friend surprises you with a four day city beauty and you have one hour to pack. Which 'do it all' palette do you pack in your make up bag? It depends. 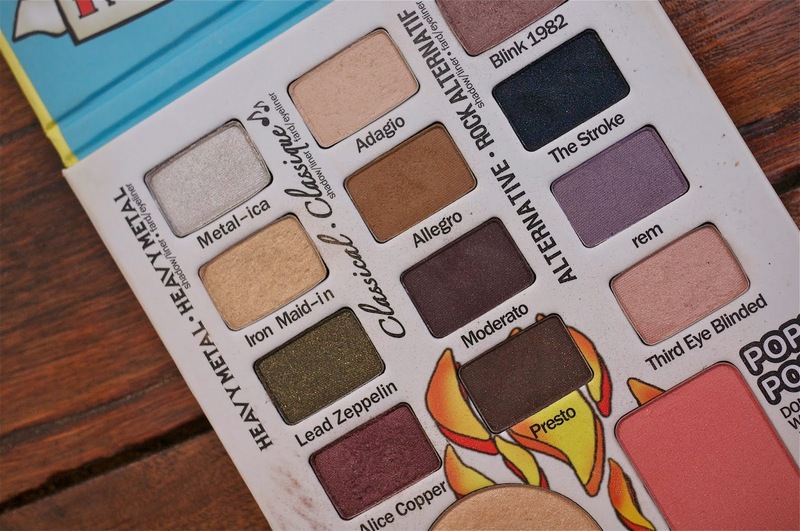 If, by 'Do it All', it means that I need a palette that will do just about everything on my face, I definitely need to go with theBalm's Balm Jovi Rockstar Palette. This palette has a nice selection of shades, a blush, highlighter and a few lip colours. If, on the other hand, I have room for some extra products I'd throw in the Too Faced Chocolate Bar palette along with single blushes etc. This palette is my go to palette at the moment and I'm struggling to use anything else. Your house had been robbed (don't worry, everyone is safe) and your beauty stash has been raided. What's the product you really hope is safe? 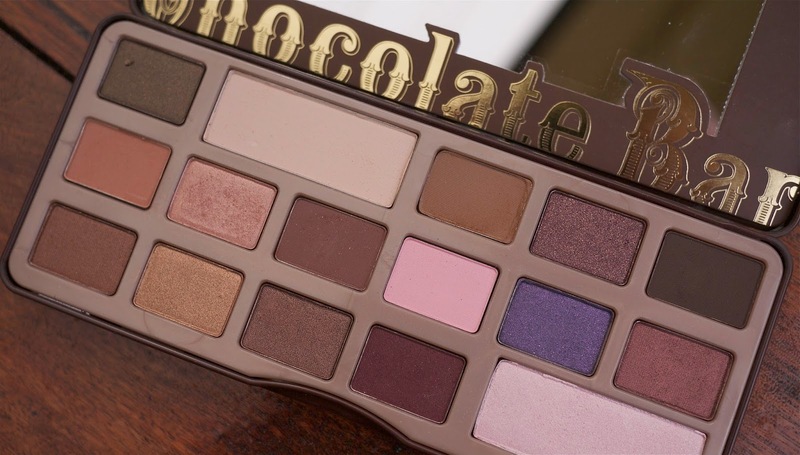 I'm going to sound redundant, I know, but it's the Too Faced Chocolate Bar palette. This palette is a limited edition product, meaning it would be quite difficult to replace and, as you know, I'm completely in love with it. Your friend borrows your makeup and returns it in awful condition. Do you A. Just pretend you haven't noticed B. Ask them to repurchase it or C. Secretly do the same to something of theirs? Umm, it's definitely not C. That's just petty. It depends how much I liked the product and how much I relied on it. If it was one of my many black eyeliners (though why am I sharing eyeliner?!) I'd probably go with A. I don't need another. If, however, it's a favourite product or unique product in my collection I'd try to suggest that they replace it. I wouldn't start a fight though. It's not worth it. Thank you, Jasmine, for tagging me in this really interesting tag. The questions are quite unique and a fresh change from a lot of the tags that do the rounds of the beauty community. I also tag everyone! If you do this tag, please let me know - post your link below. If you don't blog, leave your answers below! Hahaha your answer to the hair question because your sister is your hairdresser! This is such a funny tag, and I enjoyed reading your answers. Seriously, the Too Faced Chocolate Bar palette is popping up everywhere and my heart is hurting from not having it.